We only have a few days until Easter Sunday and while in the physical world that means a lot of us are busy with church, big dinners, and egg hunts, it also means celebrations in some of our favorite online games. 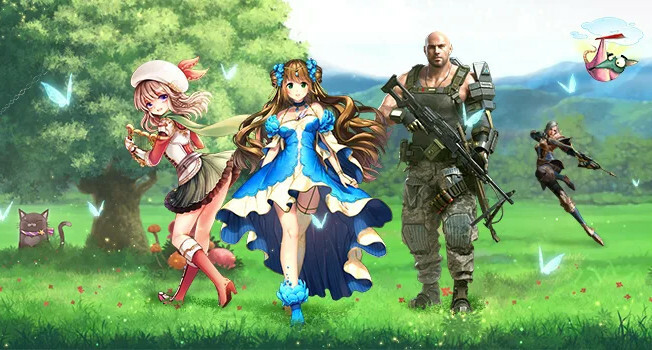 This year, gamigo is hosting Easter events in several of its games, including Echo of Soul, Trove, ArcheAge, Fiesta Online, Last Chaos, and Aura Kingdom. Each of the games have their own special activities. Echo of Soul has an egg hunt going on that will reward players with special items. In Trove, there will be Mount Parades where players can gather bonus Mount Talismans until April 23. ArcheAge players will be able to participate in a Spring Race, racing vehicles around traps in an effort to find Daru Priests and obtain blessings from each of them. They’ll also get Spring Race Tokens that can be exchanged for rewards. In Fiesta Online, players can take on a special quest, protecting golden eggs from monsters while collecting Easter eggs that can be exchanged for rewards. Last Chaos players will also take part in an egg hunt in order to obtain rewards. Finally, Aura Kingdom is offering players the chance to win an Eidolon by using special Easter coins to purchase and hatch Eidolon eggs. Conspicuously missing from the list is Rift, where it seems that all that is going on is a guessing game that could net you a free Battle Pass.